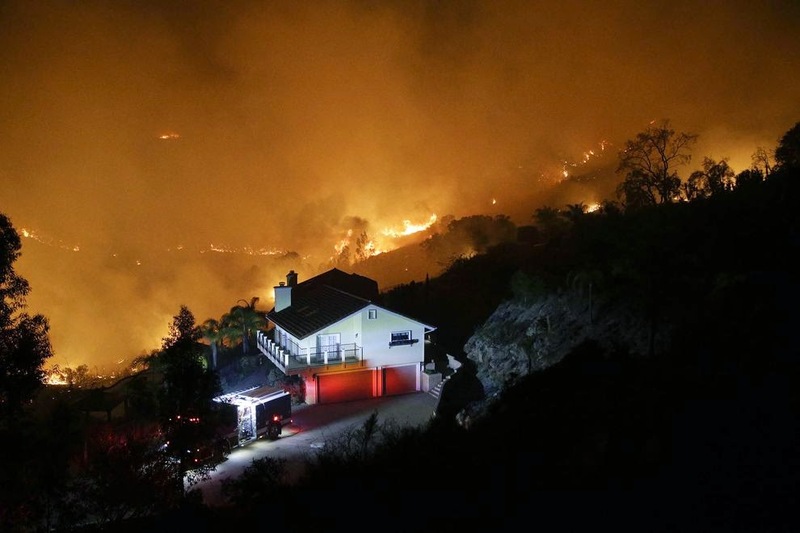 Here's wildfires outside San Diego. They're going on right now, destroying homes, scorching land. That is a fact. It is happening. Three dozen fires were or are burning. It's so bad that some nutzoids are saying that the fires were started as "an act of Muslim terrorism." We live in a country where it's easier for some people to believe terrorists committed coordinated arson than that climate change is occurring. Gov. Jerry Brown pointed out that the last three years have been the driest ever for California. The fires are being fanned by Santa Ana winds, which simply aren't seen in May. There used to be a fire season. Not anymore. It's always fire season. Here's flooding that's drowning Serbia and Bosnia, with Croatia also possibly being hit. Eighteen cities, including the Serbian capital of Belgrade, have had states of emergency declared. 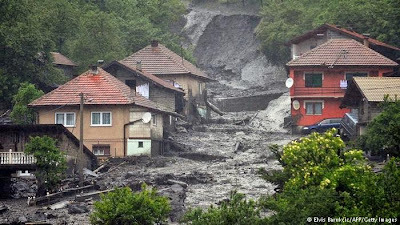 This is the worst flooding in Serbia's history. Today, the whole country will be declared an emergency area. It is the "worst rainfall" in Bosnia since records started being kept in 1894. Here's a map of Antarctica. 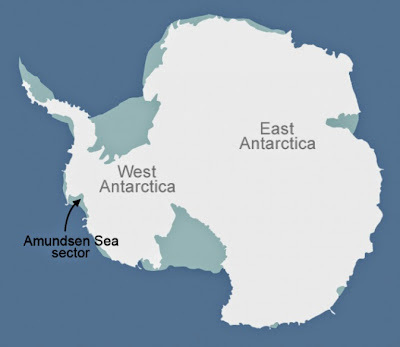 The light blue parts are the massive ice sheets that are in the process of melting and collapsing. It will take a couple of centuries, but it will happen, and it will raise sea levels enough to make large parts of currently inhabited land into oceans. Those oceans, by the way, will suffer severe desalination because the glaciers are made of fresh water. Let's not even talk about what's happening to Greenland. Every day, we see weather events that have never been seen before. You'd think the cumulative effect would be to think something has shifted. But remember: According to many politicians on the right, people who block any effort to slow things down, climate change is a myth. Besides, humans can do nothing because the climate is always changing, they say. And then they tell us about how an invisible sky wizard will take care of the planet because he's totally real. If every day, miracles were occurring that lacked any rational explanation. If water was turned to wine and the dead were rising and angels were guarding people, the Rude Pundit would say, "Well, you know what? There's a god. I've been horribly wrong." Climate change deniers will stand on the burnt earth, overlooking the floods rushing towards them, and demand that we frack and drill more.